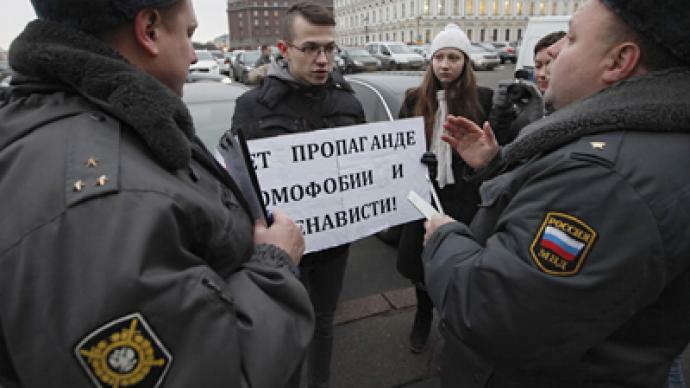 Police detained two men in Russia’s St. Petersburg for rallying against the new law banning gay propaganda. They are now likely to become the first to be convicted under it. 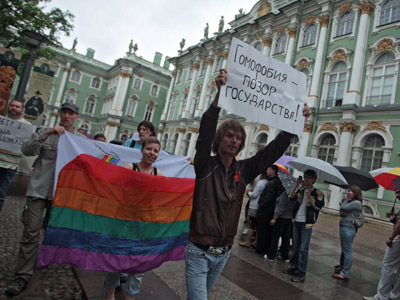 Russian media reports that two unemployed men, 28 and 31 years of age, were holding slogans reading “Being gay is normal” as they stood near the St. Petersburg City Palace of Youth Arts (the major extra-curricular activities center for children). The picket directly violates Article 7 of the city’s Administrative Code, which bans any actions promoting homosexuality or bisexualism among minors. The violators must now be fined. Both men were taken to a police station and their offence was registered. Now the district magistrate court will decide their fate. Local gay activists have claimed that the detained were kept in custody for an excessive period of time. They also said that the two men were charged with taking part in an illegal picket and disobeying the police orders – also administrative offences punishable by fines. 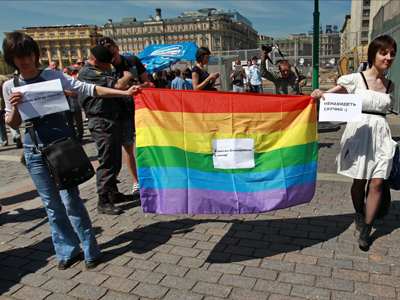 The bill banning gay, bisexual and transgender propaganda was approved by the St. Petersburg city legislature and signed into force by the governor in late February. The document stipulates that promotion of homosexuality will be punished by a fine of 5,000 rubles (US$166) for private individuals. However if a person found guilty occupies a public post, the fine would increase to 50,000 rubles ($1,600), and legal entities must pay from 250-500,000 rubles ($8,300 to $16,600). 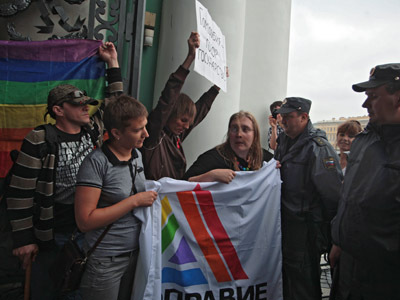 The bill caused a string of protests from Russian and international gay rights organizations and one Russian activist sued its author over damages to his reputation. 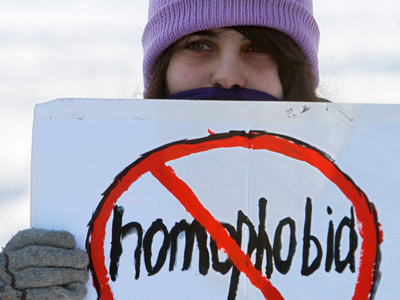 At the same time, after the bill was signed into force, a group of legislators from Novosibirsk submitted a similar bill to the State Duma proposing to introduce the ban on gay propaganda on a national scale.